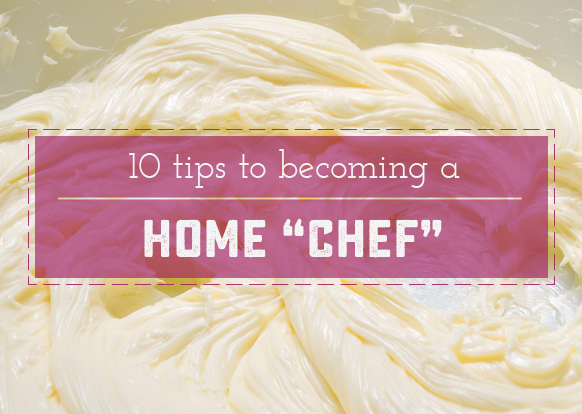 The last several years have seen the rise of what I call the Home “Chef”. Different than the Home Cook, a Home “Chef” has honed their skills with Food Network, tested their prowess with difficult recipes from their favorite bloggers, and refined their pallet with amazing meals from farm to table restaurants. Really, the world of cooking at home has become so much more approachable, and has so many more tools for success today than in the past. Besides valuable practice, the diy food culture we are in today makes us better cooks through knowledge. Today I’ve gathered 10 bits of cooking wisdom that are bound to up your Home “Chef” game.These tricks can make food preparation faster and organized, and there are also a few tips for making sure foods get done in a shorter amount of time when they are baked, fried or prepared in another fashion. For a lot of foods, cooking without seasoning means a bland meal. 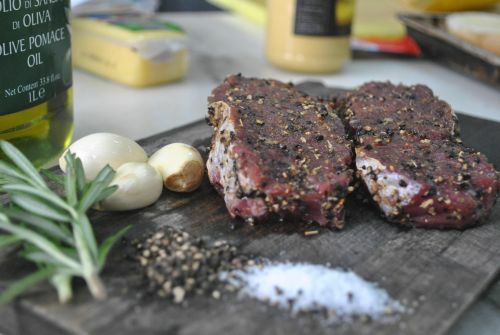 With a little salt and pepper or other seasonings, you can turn a boring meal into a delicious meal. 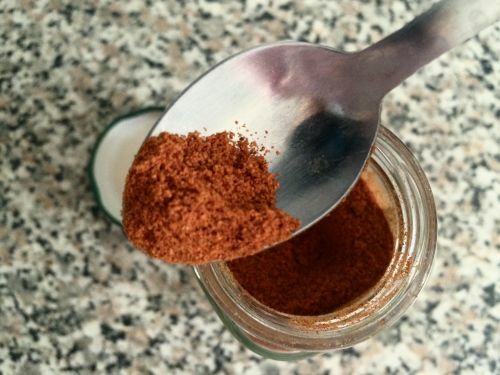 When you are looking to liven up a dish try paprika, chili powder, garlic salt or seasoned salt. Try and strike a balance you don’t want to rely solely on the natural flavors to come through while you prepare your meal, but you don’t want to smother those flavors altogether either. One of the hardest things to do when preparing a meal is deciding what to cook. Not just choosing what you want to eat – but what will be good together and what will be finished at about the same time. Programs like Cozymeal help to give cooks ideas on how to pair foods that have the same flavors that will accent each other. 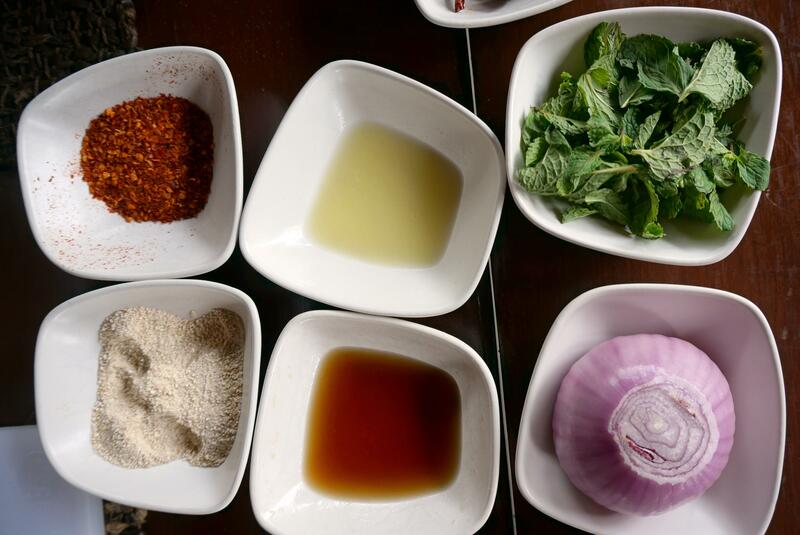 Some of the classes and meal types here, here, and here are examples of blending flavors. For example, bacon fat can be used in a pan of vegetables if you plan on featuring the meat as a main course. If you’re cooking foods that are dark in color, then use a red wine or a dark sauce. Little pairings like this are easy to memorize and will definitely make you a better Home “Chef”. For goodness sake, TASTE IT! We’ve all watched the food challenge shows where some famous chef tears a contestant down for this rookie mistake. Don’t just put something on the table without knowing what it tastes like. While the food is cooking, check to make sure there is enough seasoning and that there are enough flavors in the dishes. You don’t want to sit down to eat with your family and friends only to realize that is bland or that it is overly seasoned. The Home Chef’s secret weapon, these are two foods that just seem to make any dish a little better. My secret take on this secret weapon is freeze dried garlic. It is easy to measure, it is always fresh and it doesn’t make my hands smell gross. Win win! Small pieces of onion can also be used for seasoning and adding flavor. Pro Home “Chef” Tip: Onions go especially well with beef. The Home Chef’s job isn’t done when the food is done. Oh no, you want to plate it in a way that is appealing too. 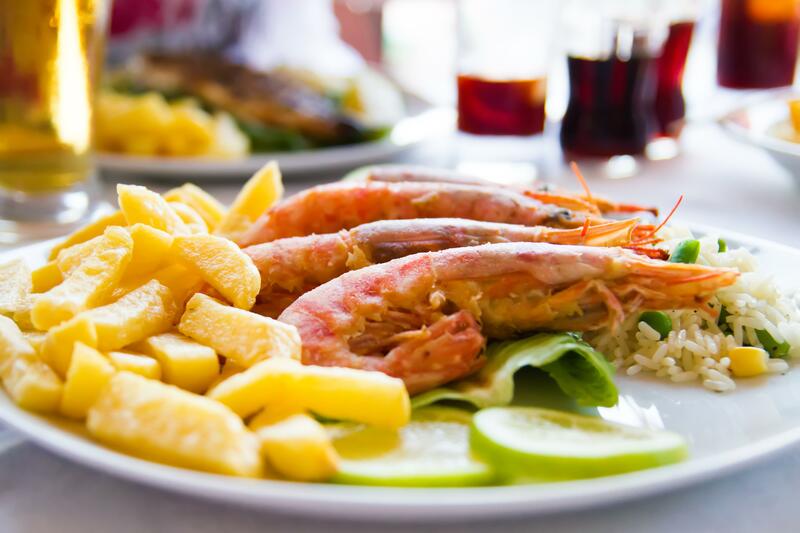 Many people eat with their eyes instead of only with their taste buds. Treat your meals like they would be served in a five-star restaurant, even if it’s a bowl of soup and a grilled cheese sandwich. Cook with color, use appropriate sized dishes, and clean up drips and smudges. This is something you want to consider doing more of if you entertain a lot. Some recipes call for an amount of an ingredient in weight while others need a certain volume. Here in the US we have the added bother of the Metric system vs Imperial Measurements. When you’re baking, you usually want to use weight because it is more accurate than measuring by volume. If you use too many liquid ingredients, then you can make almost any dish too thin, which will mean you have to add more dry ingredients in order to get a thicker sauce. Until you get the hang of doing things by eye, measure! 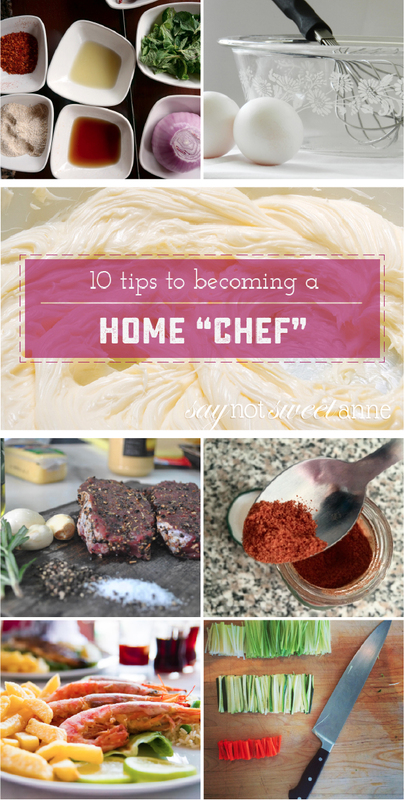 Where would a Home “Chef” be without the tools of her trade? These are your lifeblood, make sure your knives are sharp. You can’t cut meat and vegetables with a dull knife, and if you do, then you will probably cut yourself, or marr the food in the process. Other utensils should be in a good condition as well, such as a whisk that can easily stir ingredients or a can opener that doesn’t have a dull attachment so that you can easily open the cans that you need. No one likes to be crowded, not even food. When you’re cooking anything in a pan, don’t crowd the ingredients. Doing this can lower the temp of the pan too quickly, causing things to steam instead of sear. It also means that the crowded area is cooler than the empty areas and It will be hard to cook evenly. Some of items might get brown or burnt while others might be under-cooked. If you want to prepare everything at one time, then consider getting a bigger pan or putting everything on a baking sheet and putting the sheet in the oven. “Everything it its place” or mise en place means that you begin cooking, make sure you have all of the ingredients and tools that you need to prepare the meal. You don’t want to have to send someone to the store to get an ingredient or go to the store yourself, letting your meal sit until you get back for it to be completed. If you let some items sit for even a short time, they could have a different consistency, wilt, or burn. If you have everything that you need at your fingertips you will find that cooking can be enjoyable and fun whether it’s making a five-star meal or a pizza (which is always a 5 star meal in my book). After a long shift, a real chef and his cohorts clean the whole kitchen. It isn’t anything you look forward to, but it is necessary. At home, it is difficult to relax after an amazing Home “Chef” meal if there are tons of dirty dishes, chopped veggie remnants and sauce splatters. Clean little by little as you are cooking, and do one final sweep at the end of the meal preparation. You’ll thank yourself later when you don’t have to scrub the kitchen counters after putting the kids to bed.